On their latest record „Return“ the French IXION significantly changed their sound. The once rather dark and mysterious doom metal has made place for brighter, airier songs with post-rock influences and acoustic parts. In this interview, singer and multi-instrumentalist Julien Prat tells us about how this new sound is connected to the previous album „Enfant De La Nuit“, why the band will never turn its back on metal and why the bandleader has lately been a bit disappointed by the genre’s pioneers Paradise Lost. Greetings! Thank you very much for answering our questions. How are you doing? Well, we’re fine! And thank you very much for your interest! We’re still in post-release phase, stepping back, looking at the reactions to our last album… And I’m currently switching back in “composition mode“, as well as updating my home studio before starting some production again. At last you released your third album „Return“. Do you think that you have developed some kind of routine as a band up until now? I don’t feel any kind of routine for now: We’re exploring our musical universe at our own pace and I think it is vast enough to introduce some significant variations. 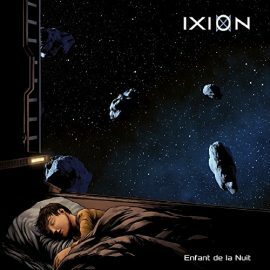 The process has also changed: Even though I stay the main composer, IXION was initially a duo with Thomas, then a trio with the arrival of Yannick, and for our last album we have worked as a duo again, but Yannick and myself this time. In our last interview about „Enfant De La Nuit“, you said that you already had plans for a follow up album, that would consist of songs that you had already written. Is this how „Return“ was created? Yes, exactly: Back in 2012-2013, I had composed about twenty tracks, half of them were used on “Enfant De La Nuit”, the others on “Return”. Basically, we selected the darkest for “Enfant De La Nuit” and the brightest for “Return”; even if things are a bit more mixed as both albums are punctuated by some more melodic/gothic tracks. 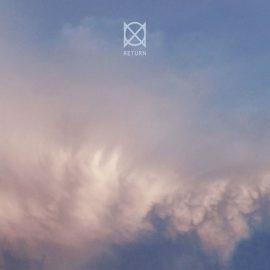 However, the terrestrial and oceanic themes on “Return” have been chosen more recently which led to some new arrangements and interpretations during the recording. I suppose that the album’s title isn’t just about your return as a band with this release. What are the record’s lyrics about and how does it explain the title? As the artwork suggests, I feel like the album is lighter and airier than its predecessor. What is the reason behind this? As previously mentioned, it was a deliberate choice to make a brighter album. 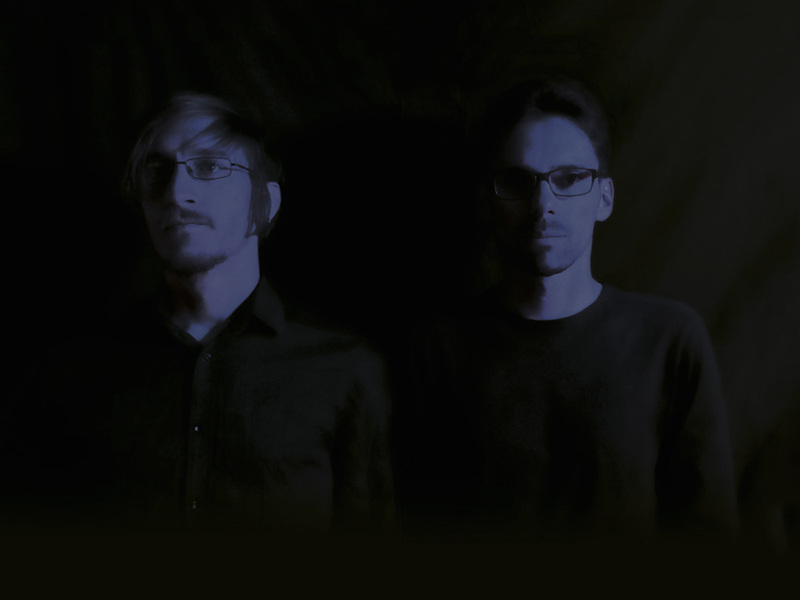 We wanted to mix our post-rock and cold-folk influences with doom metal and ambient, using some clean and acoustic guitars as well as clean vocals in a more present way. I think that we tend to shed a different light on our universe on each album, and this one is particularly luminous (for a doom metal release, I mean). Keyboards have always been very prominent in your music. However, I think that you have taken a step further away from metal on this record. Was this intentional? This is an indirect consequence of this brighter orientation. In fact the melodic doom metal core is still present on most of the tracks (while mixing the album we were saying that we could release some “metal parts only“ mixes to show that!) but it is layered with more keyboards and other reverbed sounds. Our goal was to give the sensation of floating in the atmosphere or in the ocean. And beside the analog strings layers, I must admit I have also played more with 70’s-80’s synth sounds, like the pad used as a solo at the end of “Into Her Light“… I just love these sounds! Would you also consider doing an album completely based on keyboards? I don’t think so. I love doom metal as much as ambient/electronic music, and our identity is really based on this combination. These genres can be mixed in the same parts, but it should be interesting to create some ruptures between some more rough metal parts, and purely ambient or electronic ones. How was the general feedback to this little change of your style? Did some of the listeners feel alienated by it? There are two kinds of reactions after the release of “Return”, and I must say that this is what we expected, and we respect both of those points of view: Some people really love the album, while others find it too bright. I think being an atmospheric/funeral doomster is not enough to like the album – perhaps you need to be also a fan of ambient music or post-rock – either way opened to non dark or non metal genres. The album involves a panel of tastes to be fully appreciated. Luckily, this is the case for most of our fans, which is not so surprising because we have always worked on that combination. So finally the feedback is largely very positive! The album was released a while ago. If you look back now, is there something, that you would change about it afterwards or are you still completely satisfied with it? When you’re directly involved in the production process, there are always a few things you would improve – even if these things are sometimes nearly inaudible details! One of the new tracks, „The Dive“, is a continuation of „Fade To Blue“ from your debut. In which way are those two songs connected to each other and why did you choose exactly this track to be continued? The two tracks are about leaving this world by fading in the ocean, literally (on “Return”) or in a final dream (on “To The Void”). And above all they are connected by the use of celtic instruments. I like to play with that influence on some tracks, especially using Ullean Pipe which is such a melancholic instrument. When I composed and conceived “The Dive”, it was an evidence for me that it was a kind of continuation, another part of the same concept. Is there a track on „Return“ that you especially like? If so, which one and why? I’m perhaps an old-school guy. (laughs) I like to listen to whole albums, and I like “Return” as a musical journey and hope this is the same for our fans. As already mentioned you had already planned another release on Finisterian Dead End by the time you released your previous album. Now that you have done this, will you stay at the label or will you look for a new one? Things are going well with Finisterian Dead End, both professionally and on an human level and we will certainly be happy to collaborate again in the future! Of course we’d be proud to be contacted by a bigger label (and I know Laurent would also be happy), but with our particular universe, I think we’ll keep a quite moderate sized, yet passionate, audience! What are your next plans for IXION? Do you already have ideas about which direction you will take on the next record? This is a refreshing time for us right now, because there’s a blank page to be written! But I accumulated a lot of ideas and musical snippets, and some concepts to explore. One of my desires is to make a really dark and cold record, a kind of counterpoint to “Return”, in the vein of the track “Doom” on “Enfant De La Nuit”. 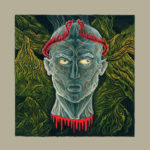 Paradise Lost – „Medusa“: I’m not sure what to think about this one. I’m a really huge fan of Paradise Lost and love most of their records/periods, which are all marked. But I’m a bit more circumspect with their “back to roots” last works. This is directly linked to my tastes: I prefer when they add and mix all of their facets (layering keyboards with metal, using reverb and delay on guitars…) so I simply prefer albums like „Draconian Times“, „Symbol Of Life“, or „In Requiem“ for example! Emmanuel Macron: I don’t like to blend arts and politic, but what I can just say (I really speak for myself here) is that I’m curious about him and what he could achieve – France needs to be reformed and I have a careful but interested look at what is happening in my country. I think I belong to the “no left no right” generation, and above all no extremes! Post-rock: It could surprise some people but our main musical connection with Yannick is here! Favorite French dish: I love dishes from different French regions: savoyarde fondue, bourguignon beef, britain galette… and I particularly like provencal food. Extreme metal: Extreme doom aside, I’m not often listening to this quite vast category, because as you can imagine I’m mainly searching for melancholy, melodies, and atmospheres. But I respect it if it stays sincere, and not a posture to be “the most extreme on the market”. IXION in five years: Two new albums, I hope! Of course we’d like to touch more people – but first and foremost to stay true to our musical identity, creating new extensions of our universe. The dream of playing live is also here, but we still have the same difficulties about it. Thank you for this interview. We hope that our music keeps taking our fans and listeners on a journey, far from their everyday life! Auf ihrer letzten Platte „Return“ haben die Franzosen IXION ihren Sound merklich neu ausgerichtet. Dem einst eher düsteren, mysteriösen Doom Metal sind hellere, leichtere Songs mit Post-Rock-Anleihen und Akustik-Parts gewichen. Was diese andere Herangehensweise mit dem Vorgängeralbum „Enfant De La Nuit“ zu tun hat, wieso die Band dennoch niemals ganz auf Metal-Stilmittel verzichten wird und warum Bandleader Julien Prat von den Genre-Vorreitern Paradise Lost zuletzt ein wenig enttäuscht wurde, erfahrt ihr im folgenden Interview mit dem Sänger und Multi-Instrumentalisten. Ich grüße dich! Vielen Dank, dass du uns ein paar Fragen beantwortest. Wie fühlst du dich? Nun, uns geht es gut! Und danke für dein Interesse! Wir stecken immer noch in der Phase, die auf den Release folgt, gehen es ein bisschen langsamer an, sehen uns die Reaktionen auf unser letztes Album an… Und momentan wechsle ich gerade wieder in den „Kompositionsmodus“ und bringe mein Heimstudio auf den neuesten Stand, bevor ich wieder mit dem Produzieren anfange. Ihr habt mit „Return“ zuletzt euer drittes Album veröffentlicht. Hast du das Gefühl, dass ihr inzwischen bereits eine Routine als Band entwickelt habt? Für mich gibt es vorerst keine Routine: Wir erkunden unser musikalisches Universum in unserem Tempo und ich denke, es ist groß genug für signifikante Variationen. Außerdem hat sich der ganze Prozess verändert: Obwohl ich der Hauptsongwriter geblieben bin, war IXION ursprünglich ein Duo mit Thomas, mit Yannicks Hinzukommen dann ein Trio und auf unserem letzten Album haben wir wieder als Duo gearbeitet, nur eben diesmal mit Yannick und mir. In unserem letzten Interview habt ihr erwähnt, dass ihr bereits ein zweites Album geplant hattet, für das ihr die Songs bereits komponiert hattet. Ist „Return“ tatsächlich aus diesen älteren Stücken entstanden? Ja, exakt: Damals zwischen 2012 und 2013 hatte ich ungefähr zwanzig Tracks komponiert, davon wurde die eine Hälfte für „Enfant De La Nuit“ und die andere für „Return“ verwendet. Grundsätzlich haben wir die düstersten für „Enfant De La Nuit“ und die hellsten für „Return“ verwendet. Es ist aber ein bisschen durchmischt, da es auf beiden auch melodischere Gothic-Tracks gibt. Die terrestrischen und ozeanischen Themen kamen auf „Return“ allerdings erst etwas später dazu, was während der Aufnahmen zu ein paar neuen Arrangements und Interpretationen geführt hat. Ich nehme mal an, der Titel bezieht sich nicht nur auf eure Rückkehr durch diesen Release. Worum geht es textlich auf der Platte und was hat der Titel damit zu tun? Wie es das Artwork nahelegt, habe ich das Gefühl, dass euer neues Album etwas leichter und luftiger ist als sein Vorgänger. Was ist der Grund dafür? Wie bereits erwähnt, war es eine bewusste Entscheidung, ein helleres Album zu machen. Wir wollten unsere Post-Rock- und Cold-Folk-Einflüsse mit Doom Metal und Ambient mixen und sowohl Clean- und Akustikgitarren als auch Klargesang präsenter einsetzen. Ich denke, wir tendieren dazu, auf jedem unserer Alben ein anderes Licht auf unser musikalisches Universum zu werfen und dieses hier ist besonders erhellend (zumindest für eine Doom-Metal-Veröffentlichung, meine ich). Die Keyboards haben bei euch schon immer viel Raum eingenommen. Diesmal scheint ihr euch jedoch noch ein Stück weiter vom Metal entfernt zu haben. War das eure Absicht? Das ist eine indirekte Konsequenz dieser strahlenderen Ausrichtung. Der Melodic-Doom-Metal-Kern ist immer noch in jedem Track enthalten (während des Mixings haben wir uns überlegt, dass wir auch ein paar „Metal-Only“-Mixe veröffentlichen könnten, um das zu zeigen), aber dieser Kern ist mehr von Keyboards und anderen Reverb-Sounds überlagert. Unser Ziel war es, dem Hörer ein Gefühl zu geben, als schwebte er in der Atmosphäre oder im Ozean. Abgesehen von den analogen Saiten habe ich zugegebenermaßen mehr mit 70er/80er Synthesizer-Klängen herumprobiert, wie etwa das Pad, das ich am Ende von „Into Her Light“ einsetze… Ich liebe einfach diese Sounds! Könntet ihr euch auch vorstellen, mal ein reines Keyboard-basiertes Album zu machen? Ich denke, nicht. Ich liebe Doom Metal genau so wie ich Ambient und elektronische Musik liebe, und unsere Identität basiert auf dieser Kombination. Diese Genres können gleichgewichtig gemischt werden, aber es sollte auch interessant sein, ein paar Umbrüche zwischen härteren Metal-Parts und reinen Ambient-/Electro-Passagen zu kreieren. Wie fiel das Feedback auf eure kleine stilistische Veränderung aus? Haben sich manche davon vor den Kopf gestoßen gefühlt? Es gab zwei Arten von Reaktionen auf „Return“ und ich muss sagen, dass wir das so erwartet hatten. Wir respektieren beide Blickwinkel: Manche lieben das Album sehr, anderen ist es zu hell. Ich denke, es reicht nicht, ein Atmospheric-/Funeral-Doom-Fan zu sein, um dieses Album zu mögen. Vielleicht sollte man auch Ambient und Post-Rock etwas abgewinnen können – in jedem Fall aber zumindest grundsätzlich auch Nicht-Metal-Genres. Man braucht einen breit gefächerten Geschmack, um es wertschätzen zu können. Zum Glück ist das bei den meisten unserer Fans der Fall, was nicht verwunderlich ist, da wir schon immer mit dieser Kombination bearbeitet haben. Das Feedback ist insgesamt jedenfalls weitgehend sehr positiv! Seit dem Release ist bereits einige Zeit vergangen. Wenn du darauf zurückblickst, gibt es etwas, das du inzwischen daran ändern würdest oder bist du damit vollauf zufrieden? Wenn du direkt im Prozess der Produktion involviert bist, gibt es immer ein paar Sachen, die du gerne verbessern würdest – selbst, wenn es manchmal nur kaum hörbare Details sind! Mit „The Dive“ habt ihr dem Track „Fade To Blue“ von eurem Debüt eine Fortsetzung verpasst. Inwiefern sind die beiden miteinander verbunden und warum wolltet ihr gerade diesen Song weiterführen? Beide Songs handeln davon, dass man diese Welt verlässt und sich im Ozean auflöst, buchstäblich (auf „Return“) oder in einem letzten Traum (auf „To The Void“). Außerdem sind beide durch den Einsatz keltischer Instrumente verknüpft. Ich mag es, auf manchen Tracks mit diesen Einflüssen zu spielen, vor allem mit dem Dudelsack, der solch ein melancholisches Instrument ist. Als ich „The Dive“ komponiert hatte, hatte ich die Idee, dass es eine Art Fortführung war, ein anderer Teil desselben Konzepts. Gibt es einen Track auf „Return“, den du für besonders gelungen erachtest? Falls ja, welcher und aus welchem Grund? Ich bin da vielleicht ein bisschen oldschool. (lacht) Ich mag es, mir ganze Alben anzuhören und liebe „Return“ daher als musikalische Reise, wobei ich hoffe, dass das auch für unsere Fans gilt. Wie bereits erwähnt hattet ihr schon zur Zeit eures letzten Albums einen weiteren Release über Finisterian Dead End geplant. Nun, da es so weit ist, werdet ihr weiterhin bei dem Label bleiben oder euch nach einem neuen umsehen? Es läuft gut mit Finisterian Dead End, sowohl professionell als auch auf menschlicher Ebene und wir werden sicherlich mit Freuden auch in Zukunft nochmal miteinander kollaborieren! Natürlich wären wir auch stolz, von einem größeren Label unter Vertrag genommen zu werden (wie ich weiß, wäre Laurent auch froh darüber), aber in unserem speziellen Universum werden wir uns wohl ein moderat großes, aber passioniertes Publikum erhalten! Was sind ansonsten eure nächsten Pläne für IXION? Habt ihr schon Ideen, in welche Richtung ihr euch auf dem nächsten Album bewegen wollt? Für uns ist es gerade eine erfrischende Zeit, denn es gilt, eine leere Seite zu beschriften! Ich habe aber schon viele Ideen und musikalische Bruchstücke gesammelt sowie ein paar Konzepte, die wir erforschen können. Ein Wunsch von mir wäre eine richtig düstere und kalte Platte als gewissen Gegenpol zu „Return“, in etwa nach dem Vorbild des Tracks „Doom“ von „Enfant De La Nuit“. Paradise Lost – „Medusa“: Ich bin mir nicht sicher, was ich davon halten soll. Ich bin ein richtig großer Fan von Paradise Lost und liebe die meisten ihrer Platten/Phasen, die sich mir alle eingeprägt haben. Allerdings bin ich etwas zurückhaltender bei ihren letzten „Back-To-The-Roots“-Alben. Das hat direkt mit meinem Geschmack zu tun: Ich ziehe es vor, wenn sie alle ihre Facetten miteinander mischen (Keyboards und Metal, Reverb, Delay auf den Gitarren…), also sind mir Alben wie zum Beispiel „Draconian Times“, „Symbol Of Life“ und „In Requiem“ einfach lieber! Emmanuel Macron: Ich mag es nicht, Kunst mit Politik zu mischen, aber ich kann sagen (hierbei spreche ich nur für mich), dass ich in Bezug auf ihn und seine möglichen Errungenschaften neugierig bin – Frankreich muss reformiert werden und ich schaue mit Vorsicht und Interesse darauf, was in meinem Land vor sich geht. Ich denke, ich gehöre zur „Weder-Links-Noch-Rechts“-Generation und mag deswegen keine Extreme! Post-Rock: Es mag manche überraschen, aber das ist unsere hauptsächliche musikalische Verbindung mit Yannick! Französische Lieblingsspeise: Ich liebe Speisen aus verschiedenen französischen Regionen: Savoyarde-Fondue, Bœuf bourguignon, britannische Galette… und ich mag insbesondere Essen aus der Provence. Extreme Metal: Abgesehen von extremem Doom höre ich nicht allzu viel aus dieser sehr weitläufigen Kategorie, da ich, wie du dir wohl denken kannst, hauptsächlich nach Melancholie, Melodien und Atmosphäre suche. Aber ich respektiere ihn, sofern er aufrichtig gespielt wird und nicht als Pose, um „die extremste Band auf dem Markt“ zu sein. IXION in fünf Jahren: Zwei neue Alben, hoffe ich! Natürlich würden wir gern mehr Leute berühren – aber zuallererst wollen wir unserer musikalischen Identität treu bleiben und unser Universum erweitern. Der Traum, live zu spielen, ist auch noch da, aber dem stehen immer noch dieselben Schwierigkeiten entgegen. Danke fir für dieses Interview. Wir hoffen, dass unsere Musik weiterhin Fans und Hörer auf eine Reise, fern von ihrem alltäglichen Leben, mitnimmt!